Have you ever thought how is it that one key that looks completely different to another will work the same lock. 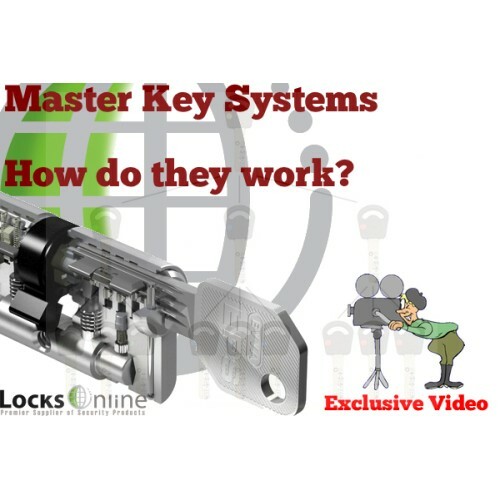 Well, here at Locksonline we have decided to put a short video together to bust the myths on how a Master Key System Works and also how to consider building a master key system. In essence and quickly it is all about matrix charts, that perhaps you may have done back in your school days. Simply if you have a number of Nine and this number nine was a pin in a lock, that when you insert a key with a grove that is also number nine then the lock would open. But what if you had a cut on a key that was say number four, well off course number four would not open a number nine. but what if we took the pin number nine out of the lock and replaced it with a pin number four and on top of that pin another pin with the number five. then now a key with a grove of four will work and also a key with a grove nine will work. The reason for this is by adding four and five together equals nine. I hope that we have not confused you that much :-). but anyway, hopefully the video below and me explaining it on a white board along with the above will help you understand ‘How Does a Master Key System Work’. On the outside of all of this also, you need to consider the level of security that you should have with a master key system. An example of this is if you are going to invest in a master key system then you don’t want someone to quite easily get a copy of a key and for this very reason we ALWAYS recommend that you consider a range of cylinders that are patent protected. 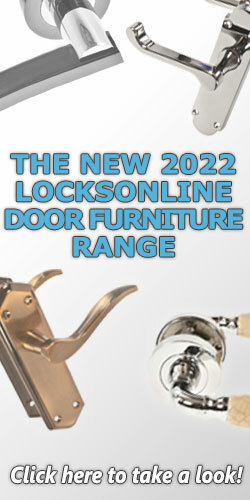 A classic for this is our LocksOnline EPS range of cylinders, these can work on euro style cylinders, Oval Cylinders, Rim Cylinders, a host of different style of cylinders that you will see in Europe, along with a massive range of Security Padlocks. Not only that Patent Protection means we can look after you and control the keys. Our integrity as a long established company is on the basis that we have always served our customer security with the highest regard. We can help you build and design master key systems that can accommodate up to thousands of doors, but at the same time it is not expensive to have a small office, a few rented homes for Landlords or even a guest house to embrace a master key system. Also, bare in mind you can have a system that is not on a protected patent keyway, off course, this would greatly reduce the cost and the security somewhat. Please see below a video and a short transcipt of the video if you need more information. Hi guy’s, my name is Darrel and I’m the head of the tech team here at LocksOnline. Thanks for taking some time to have a look at this video. What we are going to do today is have a look at how master key systems work. How does a master key system work? And if you are thinking about designing a master key system for yourself, how would you go about it? This video will help you understand the ability’s that master keying provide. What we are going to talk about first is master keys and differ keys. The cuts on these keys are slightly different, but yet both those types of keys will work a lock. So what i have here is a cylinder and two types of keys. If I was to put those up against the whiteness there you can see the cut arrangement there is much different from the one below (1:00). They both are of different cuts, yet when we put them into the cylinder like that (1:10), that key works as it should do, and the other key also works. One of the quintessential reasons why that is the case is what we call in the industry the shear line. It when pins go up to a different level to allow a cylinder to turn. Instead of looking at every pin, as an example let’s look at one pin. This will allow us to have a look at what is exactly happening inside the cylinder. Let’s assume for the purpose of the exercise lets use a 5, so it will obviously not be as deep as a 10 or as shallow as a 1. Let’s assume that the first pin is a 5 also. Now when I put the key in It will lift the pin up to the correct position of the shear line. If the bottom pin was a 6 or 4 it would either drop or push up the top pin above the shear line. So that hopefully gives you an idea of how that is working. If for instance the bottom pin is a 2. With another pin below that which is a 3 (3:54) this creates a shear line between the 3 and 2 pins. As well as the shear line that was created from adding the two together. Now I can have a key that has a cut of 3 and a cut of 5. This gives us two different cuts on the same key. That is the basic principle of how a master key system works, there are always variations as to how it can work but if you want to go back and keep it as basic as possible, this is what we call in the industry and when I was in school, matrix’s. What can go into what and this is how a master key system works. When it comes to getting a master key system you may wonder how would I benefit from this? One of the major reasons you would benefit is lets say for example you were a company or a business and you turned around and said you know, I might want to go over to my sheds, or the office department, or I want to go over to the warehouse. You can actually strip that all out and have one key, still allowing you to control all your security. Everybody can still your unique divisions and departments, but you as being the boss can have one key that fits everything. 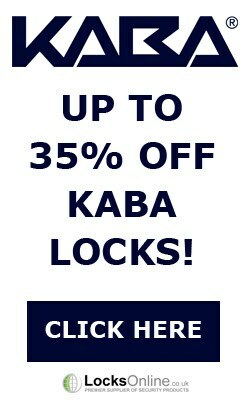 It can even extend to your house, but the point I am trying to make is that you can run all of these locks off one key, so that’s the benefit to you as an owner. The other benefits as well if you were to use our EPS system is the patent protected keys. That means that you can only get keys through us, so you know when you give Jim the manager of the warehouse the keys, he will not be able to get copies made. We support that with our patent protected system, if budget Is an issue then we can take a look at that but if patented keys is what you are looking for, we are able to provide them. Talking about a business is one great way of explaining how master key systems work. So if were to use a typical business model, at the top we would have a GM key, grandmaster. You would most likely also have subdivisions of this, such as accounts, warehouse and sales. This can of course be extended depending on your application. So let’s assume with this basic exercise, In the account department you have 5 offices, each working in their own division of accounts. They would all have their own unique keys to their office. Similar to the ware house, many subdivisions exist and can have their own unique keys. The manager of the warehouse would be able to access all of their subdivisions but this would not work the other way around. You could just have the manager keys and not give any out; it’s entirely up to you. But its just to give you an idea of how these master key systems are working. All of these offices can also have access to main exit doors. We would make this front door “Common”, allowing all of the office keys to work without compromising security. This is a very common setup in a hotel. That is the basic principle of how a master key system works, we would recommend that you invest in a patent protected system; I’ve been involved in the security industry now for 30 years. 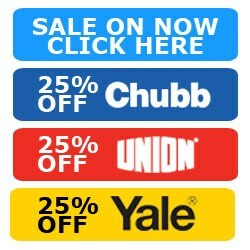 We have our own installation company locally and have been online 15 years. We aren’t going anywhere anytime soon, you need to make sure this is the case if you are looking to get this type of system, we grow with you. Just to let you know as well you can get Oval cylinders, Rim cylinders, A whole myriad of padlocks, Euro profiles and a whole range of Swedish, Assa, screw in cylinder etc, they can all be implemented into a master key system. Typical usages for these items are hotels, bed and breakfasts, mostly because of patent protection as you know that no keys can get cut without your permission. So that gives you a rough idea, the system should give you an understanding. We can do simple or specialized systems without problem, what more can I say? I hope I haven’t confused you, If that is the case pick up the phone and speak me and I can have chat with you to go over any questions. So thank you for watching pop in, give us a call or pop onto live chat if you have any questions, more importantly we would love to see you as a customer, from me Darrel and the rest of the guys at LocksOnline, thank you for watching and take care.